Morocco had the second highest annual growth at 73 percent. Egypt positioned number one with a growth of 146 percent. Tanzania pulled in a 61 percent growth and Columbia with 60 percent respectively. The four countries exceeded Israel, Iceland, Portugal, and Vietnam. These countries were 2018’s fastest growing travel destinations. The information was based on the statistics of Squaremouth showing where its customers bought travel insurance for the most. The website also emphasized that their average traveler to Morocco spent $3,673.32 on their trip, a 7 percent rise from 2017. Interestingly, the website experienced a major boom in terms of visitors from the “Silent Generation” to Morocco, at a 76% rise. Generally, the Silent Generation refers to the ones born between 1925 and 1942, i. e who are in their 70s and 80s in current context. As per Morocco’s tourism observatory, Marrakech, Agadir, and Casablanca are the most preferred Moroccan tourist destinations. Figures published by the observatory in November last year show the major growth in tourist arrivals that year came from the US, with a growth of 28 percent. Statistics from the observatory visibly shows that Morocco is turning out to be a more preferred tourist destination for the USA. In 2010, around 159,508 tourists arrived from America from January to October. In the same time last year, however, 316,450 tourists arrived from the US. 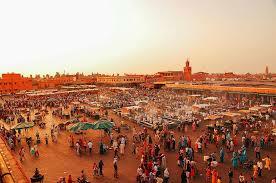 Tags: Morocco ranks as a top 4 fastest growing destinations!